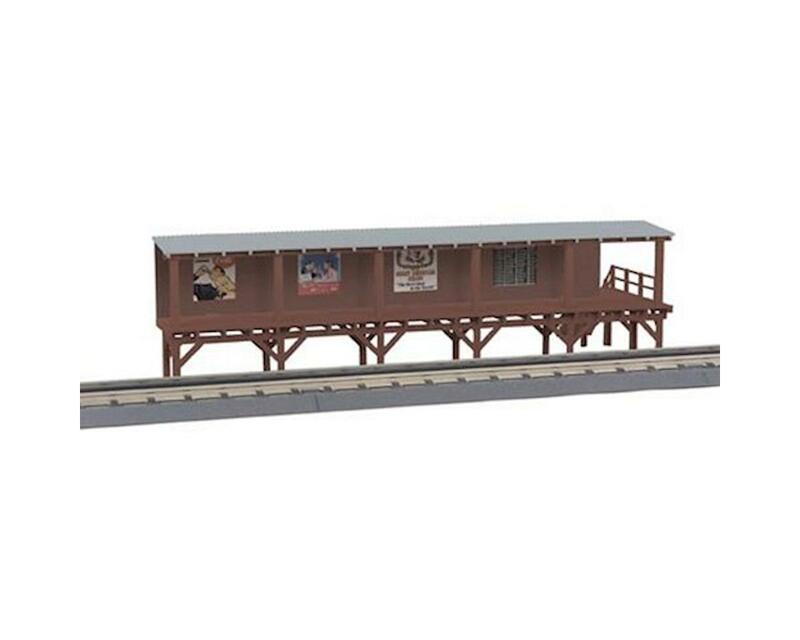 This elevated station platform is a great way to model a raised passenger or subway platform on your layout. The colorful advertising posters located along the back wall are an added touch for those modelers looking to create a unique urban station look. Unit Measures: 13-1/2" x 5-1/2" x 4"